Wrongful death cases are some of the most difficult. You’ve probably read it in our blogs before, but nothing can make up for the loss of a loved one. Financial compensation can help, but there is no adequate form of compensation for losing someone that you love. At our firm, we have a wrongful death attorney team that can help you to get financial compensation for your loss. In this blog, we’ll go over a bit of how our process works. From there, we’ll lay out some more ways that you can better understand wrongful death law. It’s important to keep in mind that all wrongful death lawsuits are different. No two are exactly alike. That being said, we have been through many of these before. We can now put that experience to use for your wrongful death case. So, when you come to us, we’ll sit down with you to talk about your case. We know that many prospective clients aren’t sure if they have a wrongful death case or not. One of the best parts of our job is getting the chance to talk to people during this difficult time. Then, from there, we’ll figure out the best way to move forward with your case. When we take your case, one of the first things we do is a complete and thorough investigation. This is crucially important. In fact, it’s even important for cases where it may not seem like an investigation is necessary. An investigation from our trained professionals can find out all of the facts, so that you can get as much compensation as possible for your loss. An example that proves this: imagine if your loved one was killed in an accident involving a big rig. The driver might be liable, but an investigation could show if the trucking company, through their negligence was liable as well. Then, you might be able to receive even more compensation while properly showing who the true liable parties were. That’s just one example. A crucial reason to have a top notch investigative team on your wrongful death case is that you can be sure the other side will. Insurance companies (and others) always have a great team of investigators ready to go. In fact, depending on when you contact us, they may be able to get a head start on our investigation. 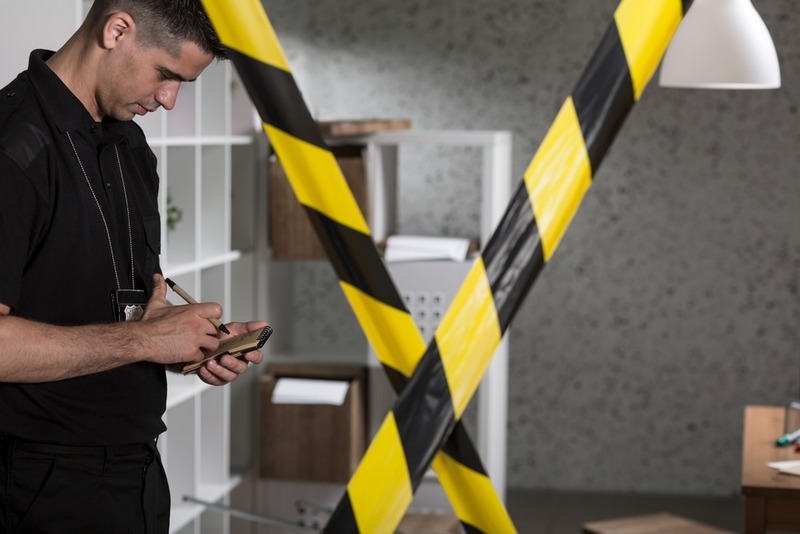 As soon as they hear that there’s been some kind of accident or injury, they’ll be on their way to the site to conduct a thorough investigation. You need investigators to match. The reason for that is simple: the investigators from the insurance company/other party will show your loved one is the worst possible light, while doing the opposite for the party who caused their wrongful death. For example: if your loved one should perish in a slip and fall accident, the investigators on the other side will go out of their way to show that the fall couldn’t have been that bad, or that the party who should be liable actually did try to maintain the safety of their location when they did not. With our investigators working your case, that won’t happen. Another way that the investigators from the other side might seek to harm your case is to look through the medical records of your loved one. For example, if your loved one perished in an accident that was someone else’s fault, the other investigators will look at your loved one’s medical history. They’ll be hoping to find something, anything that they can claim was already wrong with your loved one, so that the accident won’t be entirely the fault of their clients. You need investigators on your side who can counteract that. That way, you’ll have investigators who can show what really happened. Without that, your case can be that much more difficult. Indeed, we’ve had so many clients who have told us horror stories about friends or others trying a case with a law firm that frankly lacks the resources to go against an insurance company. So, they can’t mount that same kind of detailed investigation. On top of that, they can’t match the sheer manpower of the insurance company’s team of attorneys. What happens then is that the “playing field” of the case gets tilted. Instead of it being a level one, between two teams of experts, it becomes a heavy and significant advantage for the insurance company. The insurance company has plenty of money. They don’t need more, and they certainly don’t need yours after you’ve been through a loss as tragic as a wrongful death case. With our proven track record of success, we can go about getting you the compensation you deserve for everything that you’ve been through. Beyond the investigation of the crash site itself, we can help you to get other forms of documentation, too. That means getting key witness statements. You shouldn’t have to track down witnesses yourself, we do that for you. Then, we question them to get out all of the information that they might have. From there, we can use that to build you a much more compelling case. On top of that, we have plenty of other experts on call, too. We can bring in pros who know how to reconstruct an accident to show what really happened during the crash. This can be as much if not more compelling than the witness statements and more. It’s one more way that we can make your case stronger. The period after suffering the wrongful death of a loved one is incredibly difficult. No one wants to have to go through it. This can be one of the most trying times in a person’s life. The reason for that is: on top of all of the grief and pain from the loss of a loved one, suddenly you have all kinds of new bills to pay, too. Funeral arrangement, perhaps medical bills (should your loved one have been in or passed through a hospital towards the end) and many more. To make matters even more difficult, you could be facing all of these bills without your loved one’s financial support. It’s all so much to deal with it. That’s why we do everything we can to make the burden just a little bit lighter on you. We can help you to get compensation for all of those bills. You can get damages for the medical bills that your loved one accrued. You can absolutely get compensation for the funeral expenses. On top of that, you can also get compensation for the money that your loved one would have made. They possibly lost wages due to injury before they passed. You could receive compensation for those. Beyond that, you can also receive compensation for loss of future earnings. You were counting on your loved one to continue making money, and they would have had they survived. You’re entitled to that money. “Pain and suffering” is a name for damages that you can file for when someone you love has died due to the actions of others. You can file for their pain and suffering while they were conscious, as well as the losses sustained by their children, their spouse, their next of kin, and others. Losing a loved one due to fault of someone else is one of the most difficult experiences that a person can ever go through. There’s no way to prepare for it. The grieving process can be long. When you let us take your wrongful death case, it gives you one less thing that you have to worry about. To schedule a free consultation, head to our site or give us a call at (818) 210-4558.